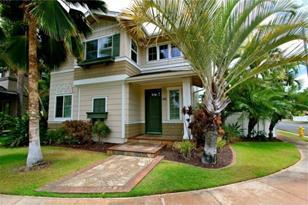 Immaculate and spacious 5 bedroom home located on a large corner lot. Beautifully maintained both inside and out. This home screams pride of ownership from the front porch to the backyard. Outside Jacuzzi tub to relax and enjoy. Low maintenance yard that is upgraded with flagstone. Most of the home is also upgraded with plantation shutters. This 402 model also comes with a kitchen island with soft shut drawers and extra storage . Some of the furniture maybe negotiable. Why wait for your home to be built when you can move in now! 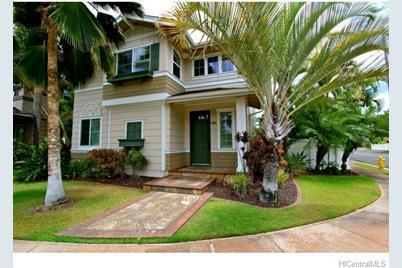 Beautifully landscaped, fenced yard with sprinkler system. Only 5/4 available in Ocean Pointe. 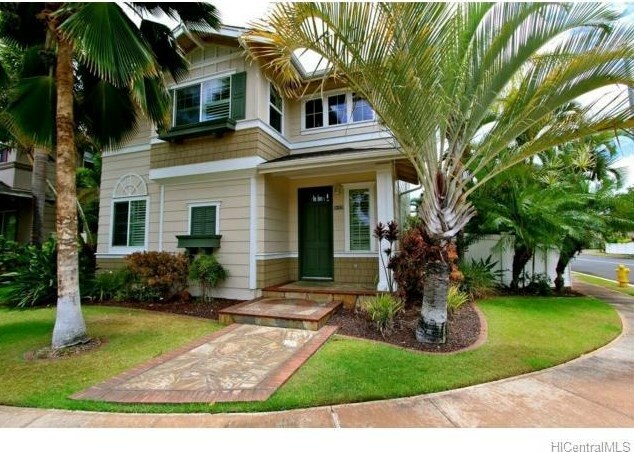 91-1119 Kaileonui Street, Ewa Beach, HI 96706 (MLS# 201511551) is a Single Family property that was sold at $768,000 on September 25, 2015. Want to learn more about 91-1119 Kaileonui Street? Do you have questions about finding other Single Family real estate for sale in Ocean Pointe? You can browse all Ocean Pointe real estate or contact a Coldwell Banker agent to request more information.